red division: DOUBLECROSS | CRUISER. ¿ Quien esta detrás de una fabrica artesanal auténticamente norteamericana como DoubleCross ? David’s 35-year road bike racing career brings a wealth of cycling knowledge to Doublecross Bikes. David was UCI World Time Trial Champion (2003), and has booked over 300 career wins on the bike. Couple this experience with my 15 years of racing BMX and five years of professional (motorcycle) road racing experience, and there is not much the two of us have not accomplished on two wheels. David and I plan to use our vast experience to bring the most innovative products to BMX. I already had plans to introduce a bigger variety of products in 2014. With David on board, we have accelerated that plan to create a new BMX parts brand: “Power Performance Parts,” as well as a line of Doublecross complete race bikes by the end of 2014. 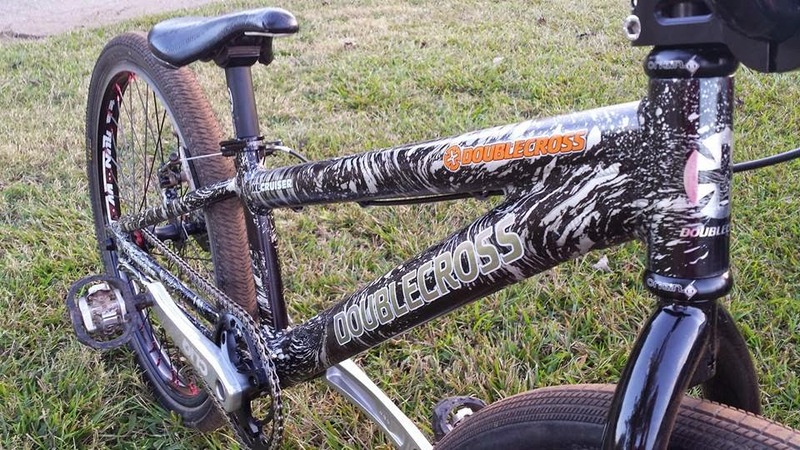 We will also roll on a series of Doublecross park and trail complete bikes– available this summer. Aside from joining Doublecross as a partner, David is the father of existing Doublecross riders Emily (14 Girl and Girl Cruiser) and Christopher Grice (10 Expert), so he knows the BMX scene from the dad/consumer point of view, in addition to his deep experience in cycling, as a whole.